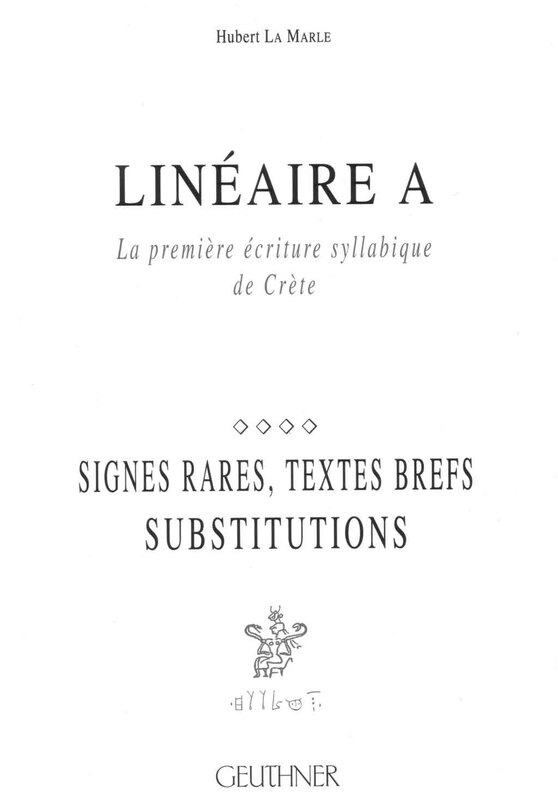 Linear A was one of the scripts used in Bronze Age Crete and the Cyclades from the Middle Minoan II to Late Minoan II periods, approximately 1800 to 1400 BC. Sir Arthur Evans, famed for his discovery of Knossos and the Minoan civilization, first identified the script more than a century ago. There are approximately 1,450 documents written in Linear A, five times as many as in the Minoan Hieroglyphic script, but far fewer than those in the Linear B script, which records the Mycenaean Greek language after 1400 BC. Previous attempts at decipherment based on presumed ‘homomorphisms’ between Linear B and A do not make morphological sense. The corpus and frequency of the Linear A signs are completely different to those in Linear B and have nothing to do with Hittite, Luvian or Semitic. 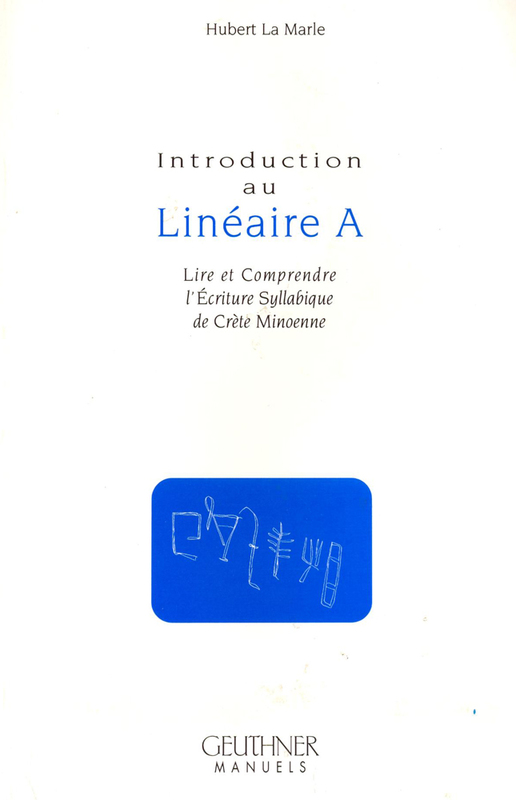 This book is a summary and update of Hubert La Marle’s analysis and reading of Linear A. 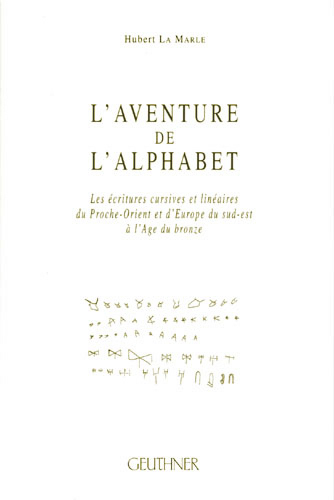 His decipherment is presented in three parts: comparative palaeography, phonology, and morphology, accompanied by twelve tests of its validity. The morphology of the language transcribed by Linear A shows that it belongs to the Indo-Iranian language group, also dealt with here. 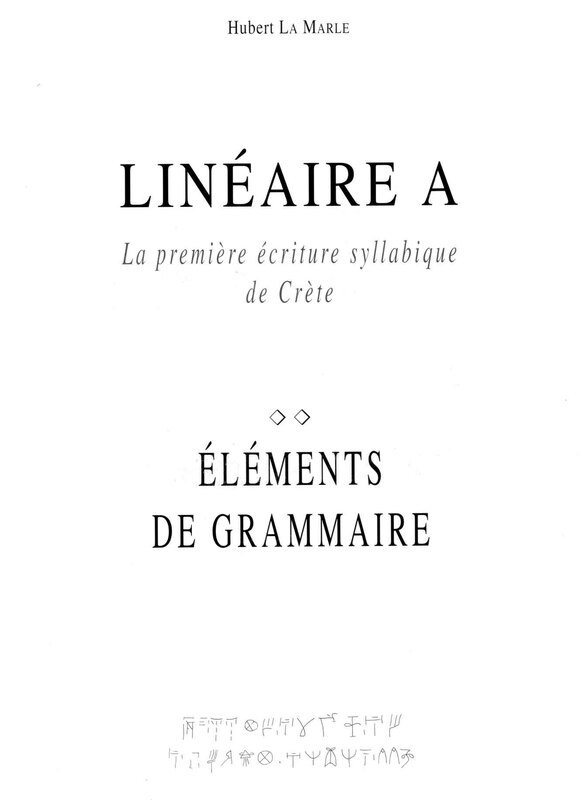 In addition, there is a comparison between Linear A and the Eteocretan language of Crete’s historical period with a Linear A glossary. 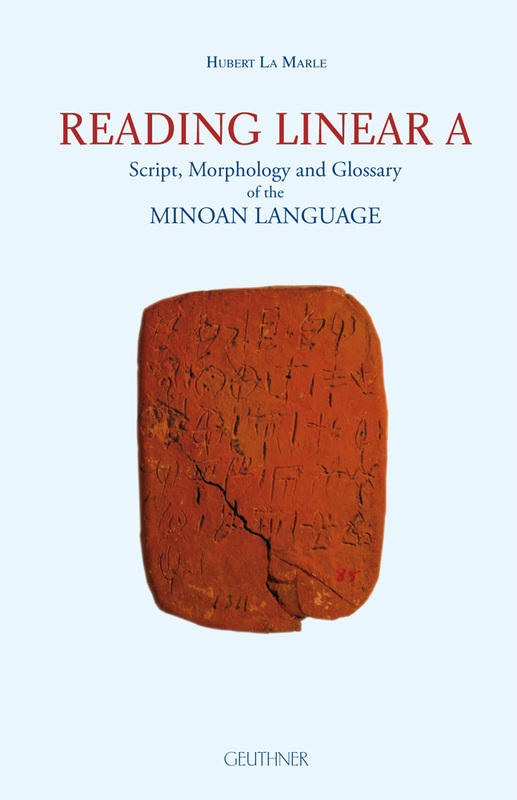 The discovery that the Minoans wrote an Indo-Iranian language opens new avenues in linguistic research, and prompts renewed studies of ancient population movements between Asia and Europe. 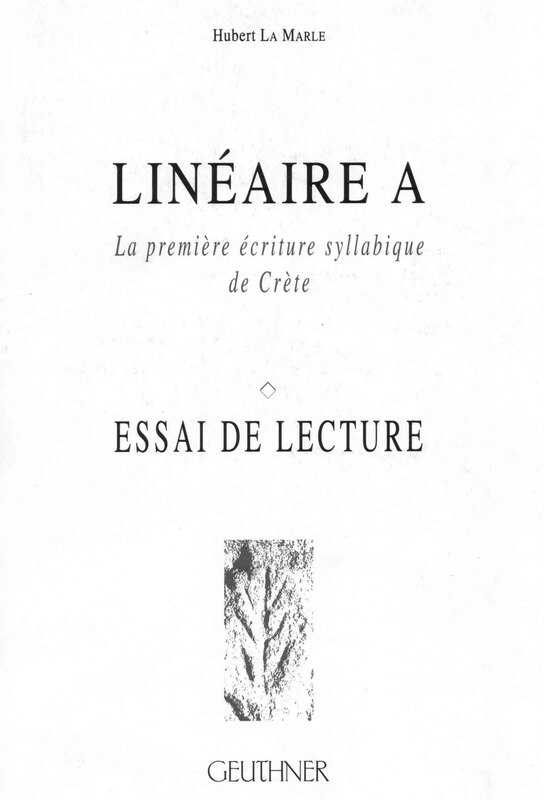 Hubert La Marle, is a linguist and palaeographer who has studied Linear A since 1990. 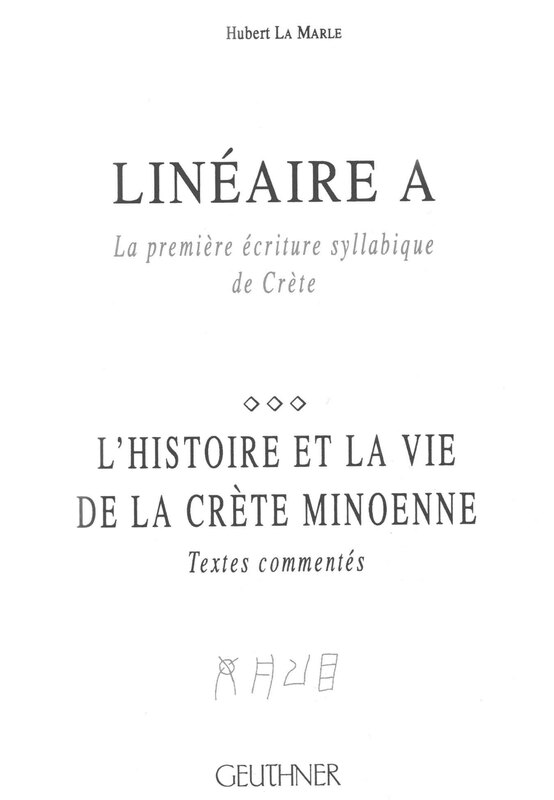 He is currently examining the phonology of Minoan Cretan and the birth of Linear A on Crete.